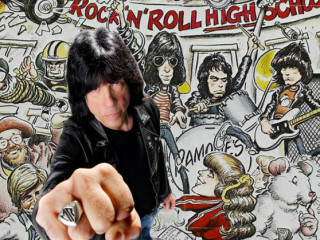 To celebrate the release of Marky Ramone's memoir Punk Rock Blitzkrieg: My Life as a Ramone, the Alamo Drafthouse has partnered with Simon & Schuster and the Long Center to create this once-in-a-lifetime event. The iconic punk rock drummer is paired with the classic film Rock N' Roll High School, which helped thrust his band into the national spotlight. Before the film you will be treated to a live introduction from Ramone himself and afterward there will be an extended conversation and Q&A about his entire life story, from playing with Dust when he was just a teenager to accepting the Ramones' Grammy Lifetime Achievement Award in 2011.